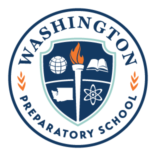 This page allows you to make payments, donations, or other contributions to Washington Preparatory School. Please enter the amount you wish to contribute in U.S. dollars. ($100 is only a suggestion.) If you want to specify what the contribution is for please add it in the optional Order Notes, below. Enter the amount you're contributing? ($USD) and click "Add to Order"
To pay with AliPay, choose this option and then press “Place Order.” You will be taken to the AliPay website to complete your transaction. 18323 Bothell-Everett Highway, Suite 220, Bothell, WA 98012 U.S.A.
© 2018 Washington Preparatory School - All rights reserved.